If you need help understanding the property licensing rules in Hackney you have come to the right place! We are experts in housing regulation and have produced this free guide to help you understand the council’s property licensing schemes. To help set the scene, the London Borough of Hackney is in North London covering an area of 7 square miles. It is bordered by the boroughs of Islington to the west, the City of London and Tower Hamlets to the south, Newham and Waltham Forest to the east and Haringey to the north. According to the 2011 Census about 29% of the housing stock was privately rented which is higher than the London average of 25% (1 in 4). There is a high chance you will need a licence to rent out your property in Hackney although you need to study the arrangements carefully as one scheme only applies to part of the borough. We will try to explain. On 1 October 2018, Hackney Council introduced a borough wide additional licensing scheme together with a selective licensing scheme that covers part of the borough. Both schemes will operate for five years. If you think you may need a licence, you need to decide which one. We will try to help you choose the right licence for your property. From 1 October 2018, you need an additional licence if your property is let as a House in Multiple Occupation that does not fall within the remit of the mandatory HMO licensing scheme. Licensing applies to almost all HMOs in Hackney. In Hackney, the council will only license section 257 HMOs if all the flats within it are privately rented. This is a complex area of law and you may need further advice. From 1 October 2018, you need a selective licence if your property (house or flat) is let out to a single person, couple or single household and is located in the council wards of Brownswood, Cazenove and Stoke Newington. If you are unsure which ward your property is in, you can check on the council’s website. In summary, if you rent out a House in Multiple Occupation in Hackney, it will need to be licensed. If you rent out a property to a single family, it will need to be licensed if it is in the council wards of Brownswood, Cazenove and Stoke Newington. Hackney Council licence fees vary according to the type of licence application and they have recently increased to coincide with the new licensing schemes. 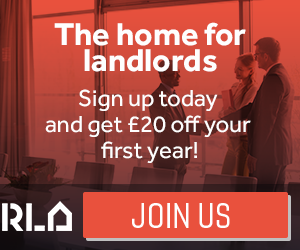 The standard fee is £950 per property, with a reduced rate of £875 for accredited landlords. The fee was previously £750 for a three storey shared house with five single person lettings (£150 per household in 2017/18, £146 per household in 2014/15). The standard fee is £500 per property, with a reduced rate of £425 for accredited landlords. There is no mention of any early bird discount for landlords who apply promptly, which we think is a shame. The fees we have listed are correct as of December 2018 and could be subject to change in the future. The fees can be viewed on the council’s website. A new online application system was introduced in late September and can be accessed on the council’s website. The council originally intended to start enforcement action on Monday 3 December for landlords and agents who had not yet applied for an additional or selective licence. With so many people trying to submit applications, they have now extended the deadline until 28 February 2019. In the meantime, landlords could still be subject to a Rent Repayment Order, so it is best to apply as soon as possible. If you need assistance with your licence application we can help you. We offer a unique hassle-free, one-stop-shop service to handle your licence application from start to finish and all for a fixed fee. As part of the service, we carry out an inspection of your property and provide expert advice on compliance. You can find out more about our licence application handling service here. New Private Rented Property Licensing Accommodation Standards have recently appeared on the council’s website. When you click on the link, you need to scroll down to find them listed under ‘Resources for Landlords’. In March 2015, Hackney Council told us they had licensed 179 HMOs. We checked again in February 2016 and found they had licensed 189 properties and the same figure was shown in December 2016. In March 2018, the council reported there were 193 licensed HMOs. Hackney Council keeps a public register of licensed HMOs which is available to view on the council’s website. In March 2015, Hackney Council told us there could be about 450 licensable HMOs in the borough according to their house condition survey from 2009. This suggests there could be 200 or more licensable HMOs still operating without a licence. The council are expecting to license a further 4,000 HMOs under the additional licensing scheme and 1,500 properties under the selective licensing scheme. If you are the landlord of a licensable but unlicensed property, you should act now to avoid the consequences. Hackney Council told us they took six housing prosecutions over the three years from April 2011 to March 2014, so on average two housing prosecutions a year. Hackney Council did not obtain any Rent Repayment Orders from the landlords of unlicensed HMOs over the five years from April 2011 to March 2016 based on data published by the Courts and Tribunals Judiciary. Whilst we don’t have any figures for the NLA or RLA schemes, we have got information about the London Landlord Accreditation Scheme that is supported by all the London Boroughs. In January 2016, they told us there were 592 accredited landlords in Hackney. By January 2018, that figure had increased to 834, which is above average when compared to all the London boroughs. To find out more about becoming accredited, you can visit the London Landlord Accreditation Scheme website here. 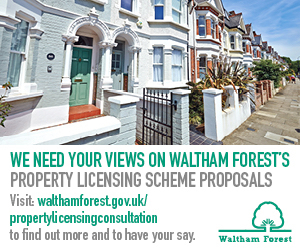 New licensing schemes have recently been introduced. Hackney Council carried out a preliminary consultation about the private rented sector from 26 January to 3 March 2015. The council said they were considering whether to introduce an additional or selective licensing scheme although there weren’t any firm proposals at that stage. In August 2015, Hackney Council published the results from their preliminary consultation exercise. The report suggested that the council explores the scope for an additional HMO licensing scheme and also possibly a HMO Article 4 Direction to restrict new HMOs. The study found no strong link between the private rented sector and problems of anti-social behaviour. From 18 September to 3 December 2017, the council consulted on plans for an additional licensing scheme for all HMOs and a selective licensing scheme for all privately rented properties, in Brownswood, Cazenove and Stoke Newington wards. You can read more information on the council’s website. On 19 March 2018, the council’s Cabinet meeting (view here) approved plans for additional and selective licensing schemes and the schemes came into force on 1 October 2018. There is clearly a lot happening at Hackney so we will monitor the situation and keep you posted. For all the latest news, sign up to our free newsletter. In April 2018, we checked the Hackney Council website and found that there is no mention of an HMO Article 4 Direction. Remember that this is only intended as general advice and no liability can be accepted for any reliance upon information provided. We would strongly encourage you to contact the Council’s Planning Department or seek independent legal advice before you start a new HMO development. To find out more information about Article 4 Directions, you can visit the council’s website. Mandatory HMO licensing scheme applies borough wide. Additional and selective licensing schemes started on 1 October 2018.